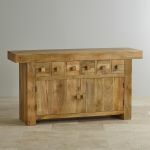 For storage space galore, take a look at this resplendent Mantis Light Natural Solid Mango 6 Drawer Large Sideboard. 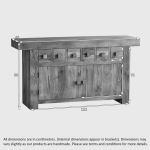 Boasting a row of six compact drawers and a generously-sized cupboard area, the sideboard offers a plethora of storage options. 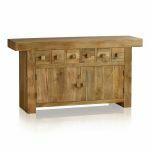 Each drawer is individually finished using traditional dovetail joints, which add to both the style and durability of this piece. 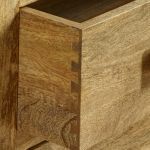 This type of joint is noted for its resistance to being pulled apart due to a series of interlocking wedges called pins and tails. 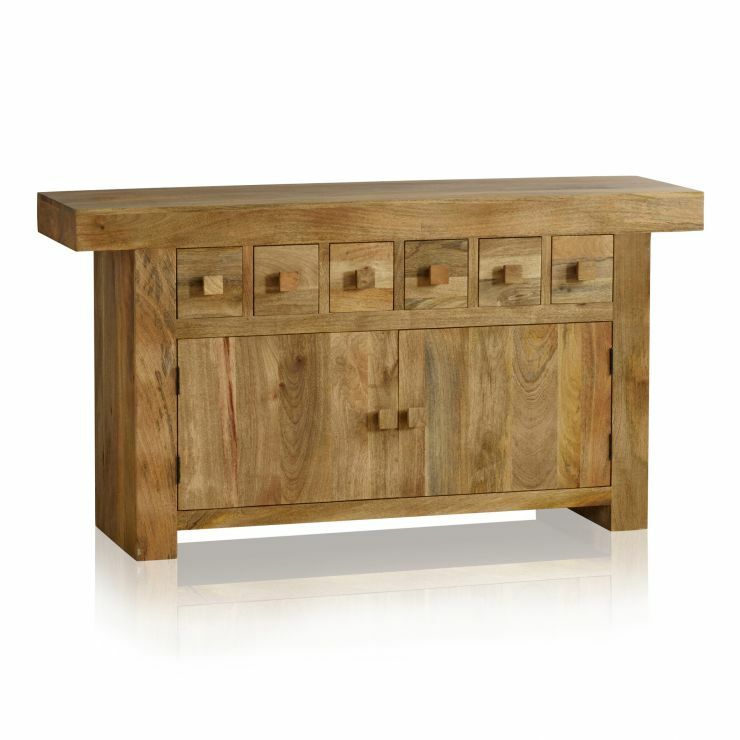 Even the backs and bases are made from 100% solid mango wood - because we never skimp on materials and we never use chipboard, MDF or veneers in any of our products. 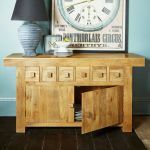 Finishing touches include cubed mango handles which blend perfectly with the drawer and door fronts, a clear wax polish and magnetic fasteners to secure the doors. 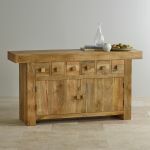 Browse the rest of the Mantis Light range to see how easy it is to coordinate your dining room furniture.